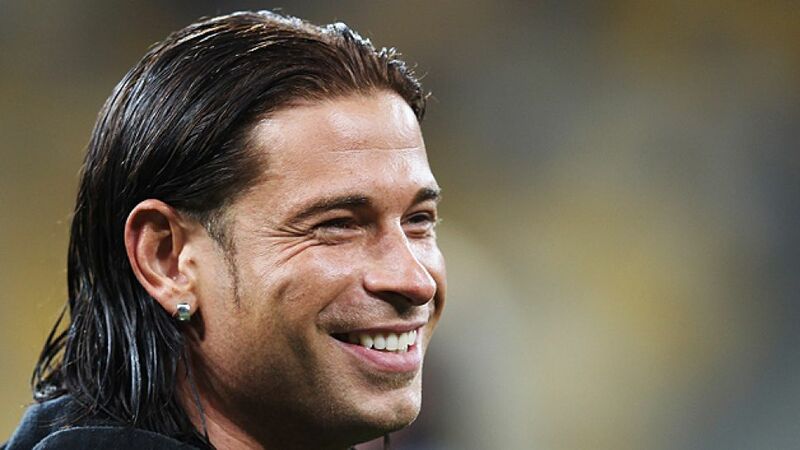 Known for his slicked back hairstyle and sometimes zany antics, Tim Wiese is one of the Bundesliga's most entertaining personalities both on and off the pitch. Born in Bergisch Gladbach, the goalkeeper, who lists Oliver Kahn as his sporting idol, is a model airplanes enthusiast, a hobby he'll no doubt continue pursuing despite opting for a change of scenery in 2012. Wiese was a striker during his early years and joined the youth academy at Bayer 04 Leverkusen at the age of eight. It was only when a problem with his Achilles tendon flared up that he began featuring between the sticks. Having failed to break into the first-team at Leverkusen, Wiese spent three seasons apiece with SC Fortuna Köln and 1. FC Kaiserslautern. However, it was at Werder Bremen where he truly came to prominence. An injury to Andreas Reinke, the No1 at the time, opened the door in 2006 and Wiese has never looked back since, having become an irreplaceable member of head coach Thomas Schaaf's starting line-up. Wiese twice finished as a Bundesliga runner-up with Bremen (2006, 2008), but got his hands on a title when Werder won the DFB Cup in 2009. However, the keeper hasn't fared as well internationally. A mistake against Juventus in the UEFA Champions League is still the "negative" moment in his career, while for Germany Wiese had the misfortune of competing against Oliver Kahn, Jens Lehmann, Rene Adler and most recently Manuel Neuer. The only player not to feature in the 2010 World Cup for Germany, Wiese chose to embark on a new challenge with 1899 Hoffenheim.